Pensacola State College and Florida State University Panama City administrators have partnered to make it easier for PSC students to transfer to the university. 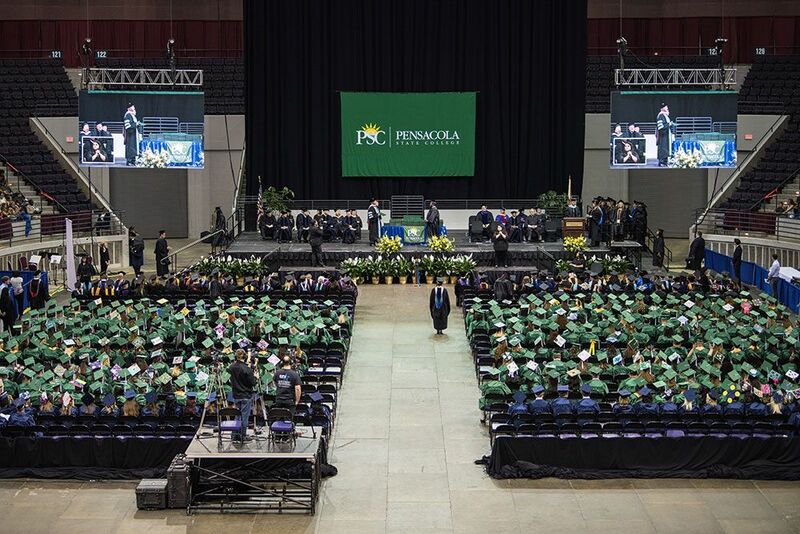 The articulation agreement, Direct Connect ─ Pensacola State College to FSU Panama City, will allow Pensacola State students easier access to the university’s four-year bachelor’s degree programs. The articulation agreement also includes a reverse transfer clause that will allow Pensacola State students who have not completed all necessary courses for an associate in arts degree to transfer to FSU Panama City and complete those remaining A.A. degree courses at that campus. Once these courses are completed, the student is officially awarded the A.A. degree from Pensacola State College. 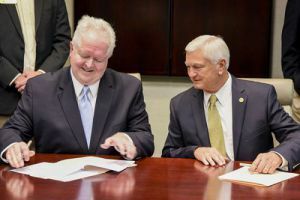 Pensacola State President Ed Meadows said the agreement was great for both institutions providing students with greater access to university transfer, while stressing the importance of completing the A.A. degree program. “Should a student transfer before completing the A.A. from PSC, FSU will track the student and the courses they take. When the student completes the requirements for the associate degree, FSU will let us know and we will initiate a process that will allow that student to receive his or her associate degree from Pensacola State College,” he explained. Under the agreement, FSU Panama City advisors will have a regular presence in Pensacola State’s Advising Center. FSU advisors will be on the Pensacola campus from 10:30 a.m.-noon and 1-2:15 p.m. each Tuesday. FSU Panama City Dean Randy Hanna added the goal of the agreement is to increase the number of transfer students in the state’s university system. “The primary goal is really student success. It’s putting advisors on Pensacola State College’s campus from Florida State University to help those students from Day 1. It’s letting those students get involved in activities at Florida State University Panama City. It’s merging to some extent the activities of the two institutions, especially on the academic advising side,” Hanna said. FSU Panama City currently offers 18 undergraduate programs including bachelor’s degrees in engineering, accounting, and business along with commercial entrepreneurship and hospitality management from the Jim Moran School of Entrepreneurship, and the Dedman School of Hospitality, respectively. About 900 students are enrolled on the Panama City campus, and more than 200 are taking online courses. For more information, call Sheila Nichols, Pensacola State College marketing director, at 850-484-1428 or snichols@pensacolastate.edu or FSU Panama City Admissions at 850-770-2160 or email admissions@pc.fsu.edu.